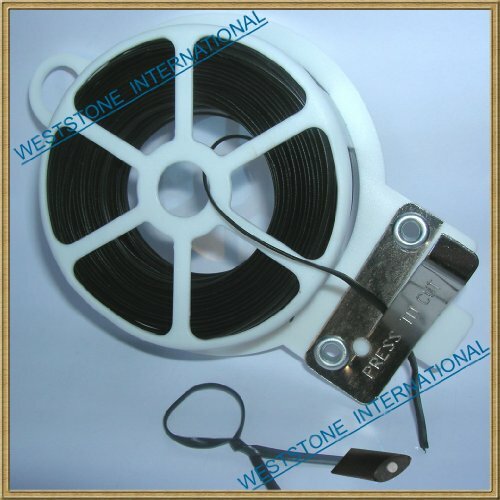 This bid is for QTY 1 roll of 65ft (20m) Black Plastic Oval Twist Tie with Cutter. ----Length is 65ft (20m)----Width is 5/32"----Wire gauge is #27---- One roll is 20m = 65FT = 787inch = about 200pcs of 4". We have different color White, Black Flat, Black Oval, Clear for your choice.